Is your organisation proactive when it comes to managing its reputation? 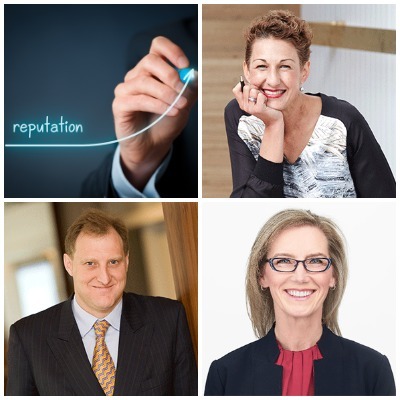 Join panellists Anna Whitlam, Managing Director, Anna Whitlam People; John Sartori , Partner, Ashurst and Shelly Lowe , Vice President, Global Markets, IBM Australia & New Zealand as they discuss new threats, new thinking and new opportunities. So far 2019 has seen an array of high profile corporations challenged on their integrity, trust and brand values. The ongoing Royal Commission is creating reputational challenges as it investigates potential misconduct within the Australian Financial services industry. Reputation has never been more fragile and reputational threats are increasing exponentially. The rapid expansion of social media use means reputations can be built and lost on a ‘like’ or ‘comment’, making the management of reputation a vital aspect for every business. As new decentralised platforms and networks emerge, consumers are enabled to bypass the traditional means to finding products and services, making the perception and reputation of a brand critical to its survival. Crisis management at the organizational level is no longer enough, companies and industry sectors must manage risk on a larger scale. How can business and industry bodies prepare and plan? What lessons can be learnt? When should they communicate? What should they say? Can Silence ever be golden? How concerned should management be? Anna Whitlam is a business leader whose advice is sought by senior people in critical areas of their business: executive search, organisational structure and design, specifically in the disciplines of corporate affairs, communications, investor relations, reputation and risk. Anna’s leadership in corporate affairs and communications has seen her become a member of the prestigious Arthur W. Page Society, the world's leading professional association for senior public relations and corporate communications executives and educators. John is an expert Corporate / M&A partner, with an emphasis on company law and governance and other 'head office' related matters and over 25 years' experience. John has a wealth of experience advising on company law, head office & governance matters such as directors' duties, corporate governance, Corporations Act and ASX Listing Rules, AGMs, executive remuneration, employee incentive equity schemes, company regulatory and compliance issues, and company secretarial matters. John's M&A experience includes advising on major public company takeovers, schemes of arrangements, private acquisitions, joint ventures, equity investments and shareholders agreements. He has acted for a wide variety of clients (both Australian and foreign), including resources companies, infrastructure operators, owners and financial investors, and banks and other financial institutions. Shelly Lowe is Vice President of Global Markets for IBM in Australia and New Zealand. She and her team work with IBM’s clients to enable business transformation through cognitive industry-based solutions and cloud service delivery models. Most recently, Shelly was Vice President of the Enterprise and Commercial business in Canada and also recently held the post of Director of Marketing and Communications for IBM in Canada, responsible for the strategy and delivery of IBM’s brand and reputation. Prior to that, Shelly was the Director of Smarter Solutions for Canada. In this role, she worked with a team of industry subject matter experts and proposed IBM solutions that help Line-Of-Business and Functional executives achieve their desired business outcomes.